Does your art school work with an insurance brokerage that has specialized knowledge of the arts and entertainment community, and that understands the specific needs of an arts organization? Protégé is an insurance product custom-designed for art schools by Front Row Insurance Brokers. The program grew organically out of our longstanding engagement with the arts community. We realized that creators are also educators, and that our clients needed an insurance product that could cover their workshops, summer camps, and training seminars. We wanted to create a policy that helps foster creative expression, one that protects teachers and students alike, that helps create safe spaces to learn, where students can take risks, challenge each other, and grow with confidence. Protégé is one of the few policies to offer abuse coverage. Should the unthinkable occur, we have a team of experts in crisis management that can help you navigate the difficult legal and emotional challenges of allegations of misconduct. But more importantly, we’re proactive. We work with you to develop risk management strategies. For example, we can consult on background checks, or the spatial arrangement of rooms, traffic flows, or scheduling. 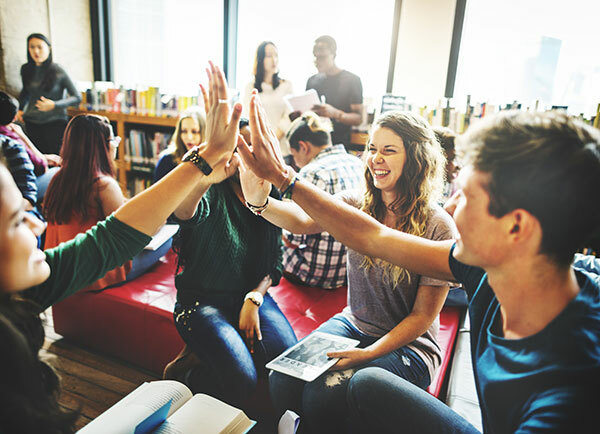 We want to prevent potential hazards from ever happening in the first place, so that students, staff, and parents can build confidence and trust in each other. That’s why we partnered with Ecclesiastical, one of the top Insurers worldwide for private schools and cultural institutions. They are an insurance company notable for their outstanding goodwill. Owned by a charitable trust, they donate all their annual profits to charities. They have over 120 years of experience, and world-class resources that are made available to you through Protégé. Protégé is insurance made for creatives by creatives. What? Insurance can be creative! At Front Row, we like to think of ourselves as part of the ecology of arts and entertainment. We don’t just provide services to the arts community – we’re an integral part of it. Give us a call and find out how Protégé can help protect your most valuable asset: the next generation of artists. Pricing begins at $600 for a small school. To learn more, click here. If you’re running an art school, then we don’t need to tell you the amount of passion, drive, and dedication required to run a school and coach students to success. We probably don’t need to tell you this also brings a huge amount of responsibility for the well-being of your students, who are often young and in close relationships with their teachers. As you consider how to run your school in a way that BEST protects your students from physical and sexual abuse, consider our Protégé program. 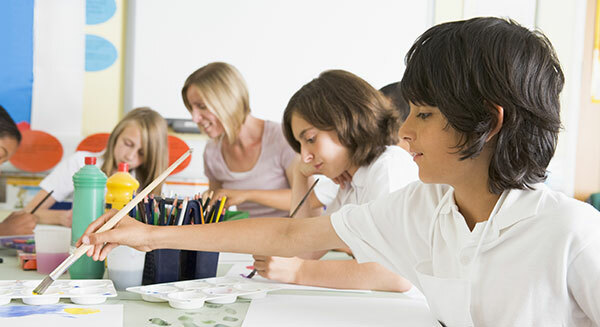 Protégé is the only insurance program of its kind that goes the extra mile to protect art schools AND their students from situations related to sexual and physical abuse. Along with all of the other insurance requirements your school needs, Protégé provides the highest level of support and protection for your students. This is our passion. In situations where there are allegations of abuse, Protégé can pay for no-fault rehab and counselling costs. In situations resulting in damage to studio/school property, Protégé covers the costs for owned and rented property damages. In liability situations, Protégé covers bodily injuries to people that have been invited to the studio. To support business continuity, Protégé pays the salaries of your staff if the studio is destroyed while you are searching for a new space. Re: errors and omissions, Protégé covers costs if students aren’t satisfied with the curriculum. When you sign up for the Protégé program, you’ll receive our deep experience in putting preventative safeguards in place that will help prevent situations of abuse from happening in the first place. We’ll walk you through all the areas of your business protocols to help you put systems in place that better protect students. You’re a prolific filmmaker with a full production slate. Like most creative people, you‘d rather focus on your work. The problem is that since each project requires its own insurance policy, it often feels like the more you work, the more time you have to spend dealing with insurance! Worse, while you’ve always received good service from your broker, they don’t quite “get” what it is you do. It’s a hassle getting certificates for your vendors and cast and crew. Too many irrelevant questions are asked by the underwriter. When something unusual comes up like a drone shoot or stunts, there are delays. There has to be a better way. Luckily, there is. Unlike most insurance professionals in Canada, we specialize in the business of entertainment insurance. It’s not just what we do, and what we’re good at; it’s what we’re passionate about. Front Row Insurance Brokers is the largest entertainment insurance brokerage by premium volume in Canada, with offices in Vancouver, Calgary, Toronto, Montreal, Halifax, Nashville, Los Angeles, New York and Denver. In 2017, we insured over $4 billion of productions worldwide and wrote more than $45 million in film premium. 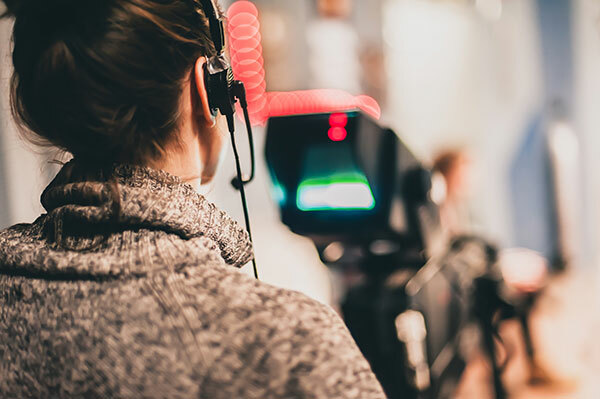 The 38 dedicated film insurance staff in our Canadian offices are experts in TV and film production, so you know you’ll be dealing with someone who understands what you do. Even better, we have staff licensed in every province. Filming in sunny Saskatchewan? No problem, we’ll get you covered. Perhaps most importantly, as part of our commitment to exceptional service, we will work hard to ensure that the money owed to you is paid if you ever need to make a claim under your policy. No cast medicals required for film budgets under $15,000,000, rendering it unnecessary to schedule and attend tedious doctor exams, and saving you the $130 exam fee. Automatic coverage for test shoots, promo shoots, pilots for budgets up to $50,000: no need to call us. Quotations provided immediately for any new project. Rates locked for 12 months. Coverage can be activated and certificates issued on the same day for office rentals, payroll, etc. Let us leverage your production slate, combined with our premium volume, for your advantage. We pride ourselves on being the simplest line item on your budget—fast, without the drama. We can also offer you a Low-Claims Bonus: ask us how. More than 100 years after their invention, “moving pictures” still seem to command our collective imagination. We often have very personal emotional attachments to movies: we say that certain films inspired us, moved us, shaped our childhood, shocked us, or opened our minds. What is unique about the medium of film? What explains this continuing fascination despite all the other technological delectations our age offers up? Is it because film promises us a total escape from the everyday? Provides deep insight into the human condition? Or is it simply good entertainment? Probably, it’s all of the above. 2017’s total box office results were the highest in history, with over $39 billion in takings worldwide despite the fact that public attention is more divided than ever, with video games, streaming services, and downloads all vying for a slice of their entertainment dollars. Clearly, movies aren’t going anywhere. What is changing is the way content is delivered. Creators are both rapidly influencing, and being influenced by, new technologies. This is not anything new: the history of film is one of periodic disruption followed by renewal in response to the changing tastes of audiences. Early “talkies,” which began to appear in the mid-to-late 1920s, were often compared uncharitably to earlier, silent films. Critics often felt that the spoken dialogue made for tawdry, artistically inferior pictures. Audiences loved them, however, and by the early 1930s, the majority of films were being produced with sound. Starting around the same time and lasting until the late 1940s was the Hollywood “studio system”—a system of production characterized by complete vertical integration of the production process. The studio system totally dominated filmmaking during this period. Studios “owned” talent, cast was repertory, and filming was done mainly on elaborate sets or backlots rather than on location. Props and sets were also frequently recycled through various productions. Many venues were owned by studios, who could thus control when, where, and for how long a film screened. Theatres that were not studio-owned were subject to a practice called “block booking” in which they were required to take on and screen entire slates of lesser-quality films from a studio in order to obtain screening rights to a single anticipated hit. (This is where the term “B movie” comes from). As might be expected, this arrangement provided steady and reliable revenue for the studios. The big stars of the time were household names. Studios were nicknamed “Dream Factories” due to their ability to quickly churn out genre favorites—westerns, musicals, romances. Fantasy and spectacle were favored over realism, and audiences gobbled them up. But new technology was already sowing the seeds of change: the rapidly growing popularity of television, as well as a landmark antitrust case in 1948 which forbade studios from owning movie theatres and curtailed the practice of block booking, placed the film business on shaky ground by mid-century. The severe slump which ensued was not truly reversed until 1972, the year The Godfather was released. The collapse of the studio system was both good and bad. As major studios were no longer guaranteed a theatrical release for their films, they became more risk-averse, tending to focus on properties they knew would make money. On the other hand, the proliferation of smaller studios and the uncoupling of distribution from production allowed many up-and-coming directors to make their mark. The 1970s ushered in the emergence of a raft of American auteur directors—Robert Altman, Martin Scorsese, Francis Ford Coppola, Roman Polanski, and Stanley Kubrick among them. These directors were influenced by European art-house cinema of the 50s and 60s and approached filmmaking with a markedly different aesthetic. Their films featured greater realism and frequently controversial subject matter. Like their European contemporaries from decades past, more scenes were shot on location. Dialogue was less frequently dubbed. Increased emphasis was placed on characterization and dialogue. Simultaneously, and progressing in a completely opposite artistic direction, another trend was taking shape: the “Hollywood blockbuster.” Designed to maximize ticket sales for large studios, these films featured larger-than-life spectacle and action, supported by cutting-edge technology and special effects. Star Wars (1977) represents the most obvious example of this phenomenon. 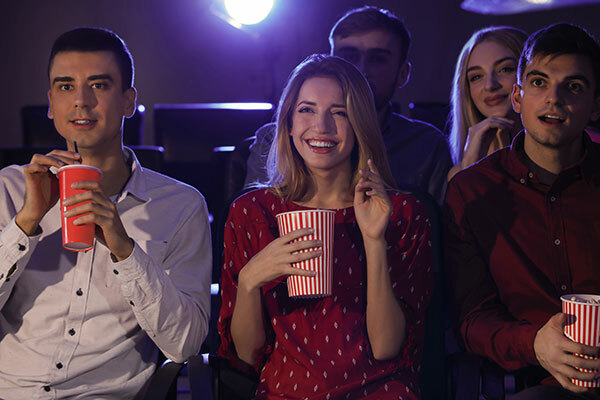 Audiences flocked to the cinema for the first time in decades to be part of an experience they could not replicate with equipment available at home. The modern action-adventure spectacle was born (and continues, in the guise of the ubiquitous superhero movie). The 1980s accelerated these changes in filmmaking. Major studios could no longer afford to back a loser, so often doubled down on grand special-effects laden productions that audiences would be guaranteed to love, or else reliable franchises such as Rocky, Rambo, Indiana Jones, Friday the 13th,, A Nightmare on Elm Street, etc. The advent of home video technologies such as VHS and Betamax meant that a significant proportion of a film’s income now came not from box office, but home video revenues. This further opened up the playing field, as it was now economically viable for a small independent producer to market their film “direct-to-video” and make a profit. Cut to the present day where, in addition to the multiplex, you can now watch a film on your phone, tablet, smart TV, portable music player, or game console. Streaming services are the latest disruptive innovation and have changed the way episodic TV content, for example, is presented (no more “previously on…” and no more commercials). It’s arguably never been easier for a creator to get their work out there. Audiences flocked to the “dream factories” of the Golden Age of Cinema because there’s no magic like film magic. This hasn’t changed, and we don’t think it ever will. Film is the only medium that addresses has the ability to inspire both our intellects and our hearts while completely engaging our senses. At Front Row Insurance, we are “Passionate about the arts…better at insurance.” We love creatives and the creative work that they do. That’s what moves us. What moves you? Whatever it is, we probably have a policy that will suit you. Contact us. Your school will be filled with joyous events that mark the achievements of your teachers and their students. Of course everyone will want to commemorate these milestones and there is often only a split second between the taking of a wonderful photo or performance video and the posting of that same pic to the internet. It will often include class members. An arts educator or studio owner should stop and think about this. No one wants a picture of their child floating around the internet, so how can you help your students and their families share their joy while safeguarding your students’ privacy? 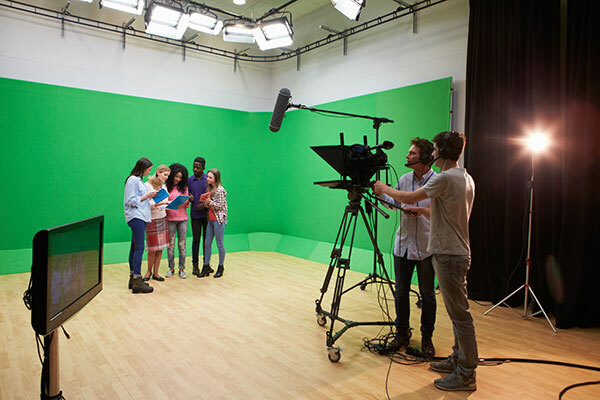 Developing a broad-based policy around safeguarding your students, see Part 1, will help you to add a section on filming and photographing students that is consistent with your operating principles. Make sure your parents and staff sign an agreement that includes a commitment not to identify students by name in any photo and have a signed consent form by the parents on file in case professional photographers are brought in. Naturally the photographers should sign an agreement also and should never be left alone with the students. For promotional purposes on a website, for example, it might be best to use commercial stock photos. If images remain in your possession, store hard copies in a locked drawer and electronic copies in a protected folder with restricted access. Do not store them on unencrypted devices, like a mobile phone or laptop. If you issue photo ID cards, make sure you comply with any data protection legislation. Small mistakes can have big repercussions, so once you have your policy and practice in place and have explained everything to your instructors, staff, parents and students, make sure your Protégé insurance policy is in effect to safeguard you and your business against an allegation of improper behavior. Your students are precious and so is your studio. So you’ve danced all your life and the time has come to share your passion and insight. The path for many is to open a dance studio, but how does one turn that passion into a successful business? Step 1 - Should be to find out about your prospective clients. 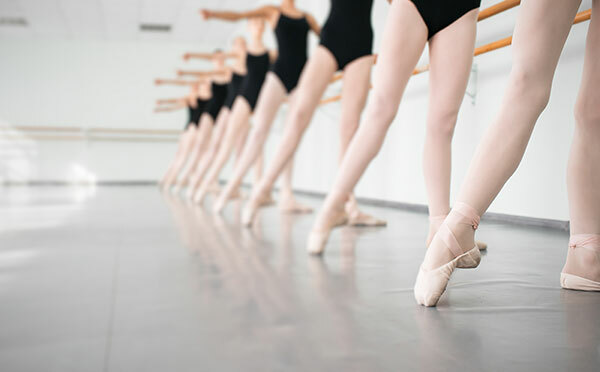 The web is full of links for parents looking for the best dance school for their kids. Read up on what is important to them. A quick search will reveal they often want a variety of dance styles and teachers to match their child’s interests and needs. They want a timetable that is convenient for their busy lives and qualified teachers that can provide a high level of instruction. If you can provide all that, think about whether or not you will you be able to hire instructors that can build levels of expertise, creating a core group of returning students each term. Consider focusing on small children that will grow with you. Step 2 - Defines your ability to pay yourself. Get advice on how to structure a business plan. That will help you sort out your expenses and determine if renting a studio makes sense at first. Identify your renovation costs and your fixed costs like utilities, rent, and specialty dance insurance coverage, like Protégé, that will protect you and your business from claims of injury, abuse, or property damage. 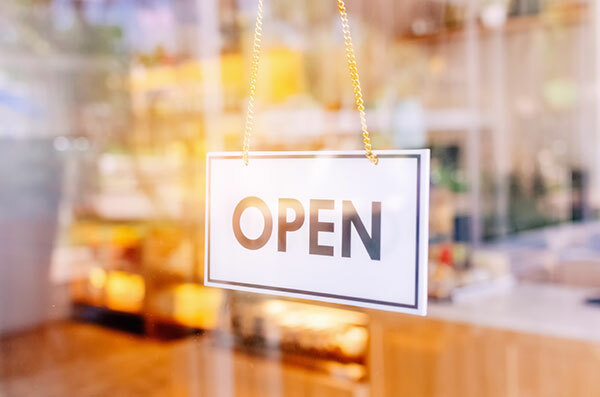 It’s a small cost, but can make the world of difference for a small business owner who has been threatened by a suit and wouldn’t ordinarily have the means to defend. Step 3 - Reminds you to invest in yourself. You are the best representative for your own studio, so don’t get so bogged down in administration that you forget your passion. Keep dancing! And don’t be afraid to ask for advice. The Facebook group, Dance Coaches & Teachers Unite, has several thousand members who trade tips and conversations about dance, as do the members of The Dance Teachers Network, also on Facebook. The priority for all schools and teachers must be the safety of the students that are entrusted to their care. A lot of research has been done over the last few years as to how we can all practice a higher standard of responsibility in that regard and as a consequence, school administrators and owners are expected to demonstrate a ‘duty of care’. One recommendation is to establish a safeguarding policy for your school. Not only will this demonstrate your commitment to the well-being of your students, but should there be an insurance claim it could be helpful to show you have a set of standards and procedures acknowledged by all staff. Before you begin to draft your policy, consider the following questions because the answers will help shape the final document: What are the potential risks to the children? Who may pose that risk and what situations might increase the risk? How will you check the backgrounds of your volunteers and staff? How will you respond to allegations of concern or harm? When you start to write your policy, name your organization and then state the purpose and aim of the policy. Provide a link to the law that supports the policy and explain how the policy relates to the business’s procedures around taking photographs or videos, internet use, recruitment, etc. Include an equality statement that commits to anti-discriminatory practice and clarify the scope of the policy – will it apply only to staff and volunteers who have contact with the children, or other people, like a janitor? Finally, identify review dates, so the policy can be updated at regular intervals. Once this has been done, make sure you have specialty art school insurance for arts educators in place, like the Protégé Program, offered by Front Row Insurance Brokers. Front Row is the premier brokerage in Canada for coverage in the performing arts and supports a number of national and provincial organizations like PACT and Dance Ontario. Protégé comes out of their realization that insurance expertise should be available for small studio owners as well as the large organizations. They know their stuff and provide coverage through a quick online service at very little cost. Opening a studio or educational facility is a way to express your creative interests while experiencing the joy of mentoring. It demands passion, skill and commitment, and involves a serious investment of time and money. Like all small business owners, you need to guard that investment with insurance that protects your reputation as well as your studio. This can make a major contribution to your success, so clearly you need a policy that is designed to protect you, your property, your students and your teachers. The Protégé Program, offered by Front Row Insurance – the largest arts and entertainment insurance brokerage in the country – does exactly that. Protégé is broken into five key areas which work together to protect the business you created. Abuse Liability: While you do your best to hire the most qualified staff, teachers, and coaches, you cannot account for every misstep. Abuse Liability manages allegations that may be levelled against you or your business, as well as providing risk-specific coverage that pays for criminal and civil legal defense costs, as well as the medical, rehabilitation and counselling costs for individuals affected by an incident of abuse. Bodily Injury & Property Damage Liability: This provides help to defend against claims triggered specifically by injury or property damage to a performance venue or leased studio. Protégé protects your art school’s corporation, teachers, employees, and volunteers for claims brought against them as well. Educators’ Errors and Omissions: E&O provides extra coverage for allegations caused by a student’s dissatisfaction with your curriculum, a dismissal, or failure to educate. Studio Property: Of course your studio needs property coverage too, and perhaps you need coverage for touring and competitions. That’s what Studio Property coverage is all about. Business Continuity: If something unexpected happens, you need to ensure your bottom-line is protected. You’ll need money for fixed expenses, loss of future tuition fees, and extra costs incurred if your property is damaged. Overall, Protégé works to protect you, your students, your teachers and your school. It’s demonstrable proof that you take your business and the relationships you depend upon, seriously.